Michael Hoffmann is a Co-Founder & President of one of the best-known placement advisory firms - Probitas Partners. Since inception in 2001, Probitas Partners has raised nearly 90 funds and over $68 Billion for both established and emerging investment managers. Michael's knowledge of the alternative asset management space, in particular private equity and real assets, makes his view on the today's trends especially valuable. Whether you are a top PE firm raising your 10th fund or a newly created "shop" raising your very first fund, you will find something interesting in this discussion. You will also learn about Michael's life and career as well as the story behind Probitas Partners' from its very first official meeting at 9:30 am on September 11, 2001 to its present state. Thomas Weisel is the founder of Montgomery Securities, an iconic boutique investment bank that was sold to a predecessor of today's Bank of America. 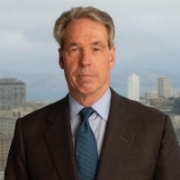 Upon exiting Montgomery Securities, he started another investment bank, Thomas Weisel Partners, which he later sold to Stifel Financial, where Thomas currently is a Co-Chairman. His success stories in business, in sport, in art, and other areas of life have one theme in common - he pushes himself extremely hard to become very competent in the subject-matter. This can be said about other successful people, but when you hear Thomas' story, you realize that he takes it to a whole new level. PJ Pereira is a Co-Founder and a Creative Chairman of Pereira O’Dell, one of the leading advertising firms. Over its relatively short history, Pereira O'Dell won every major industry award, including countless Cannes Lions and Emmy Award. In his native Brazil, PJ is better known as the author of the best-selling book, Gods of Both Worlds. His life story is inspiring, his view of the advertising business is unique, his passion for martial arts is contagious, and his love for his family is limitless. Heidi Ridley is CEO of Rosenberg Equity, one of the premiere quantitative investment management firms with $22 billion in assets under management. Her life story is fascinating: she was born in Iran; her family lost everything during the Iranian Revolution, had to leave the country to start everything from scratch in the US. On top of this, Heidi's personal career path is truly remarkable - from her job as a restaurant manager, to the CEO of the most male-dominated filed (quantitative investing) within one of the most male-dominated industries (asset management). 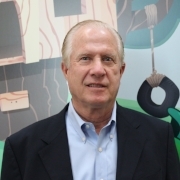 Tom Kalinske is Chairman of Doodles, one of the many Ed-Tech ventures he has been involved in. Throughout his fascinating career, Tom has built several multi-million dollar Ed-Tech companies, changed the video gaming industry as the CEO of SEGA America, revived Barbie doll and created He-Man & The Masters of the Universe animation series as the CEO of Mattel. Each of Tom’s business endeavors could have been a bestselling book; and the fact that he had so many of them makes Tom a truly remarkable businessman and an entrepreneur. Javier Mendez is the founder and head coach of American Kickboxing Academy, the leading Mixed Martial Arts teams/schools in the world. Throughout his spectacular career he has won world championships himself, and raised numerous world champions in both Kickboxing and MMA. Javier's notable students include Daniel Cormier (UFC Heavy- and Light-Heavyweight champion), Cain Velasquez (former UFC Heavy weight champion), Khabib Nurmagomedov (UFC Lightweight champion), Luke Rockhold (former UFC Middleweight champion), and many others. In this interview we spoke about Javier's life and career, genesis of Mixed Martial Arts, qualities required to become a champion, and his famous students. 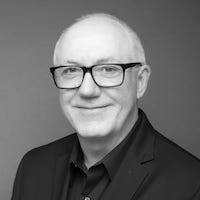 Keith Teare is Executive Chairman of Accelerated Digital Ventures and a serial entrepreneur, who has built two $1 billion dollar companies, helped to raise a billion dollar VC fund, and was a founding shareholder of TechCrunch. Born in the UK, he learned how to code at an early age, and later started his first tech company. If you think it sounds familiar, you are wrong: Keith ran the company to pay for his passion - political activism. We covered many subjects: from the class-conscious United Kingdom to blockchain, from bootstrapped companies to venture capital trends, from Karl Marx to a rapper Lil Backwood, and from Keith’s childhood to his life advice to young people. Guy Kawasaki is the Chief Evangelist of Canva, an online graphic design tool. He is a brand ambassador for Mercedes-Benz and an executive fellow of the Haas School of Business (UC Berkeley). Guy is widely known around the world for his books and speeches on entrepreneurship, and his early work at Apple alongside Steve Jobs.